UPC provides rigid glass and plastic bottles, droppers and closures for e-liquid, essential oil, beauty, cosmetic and nutraceuticals. 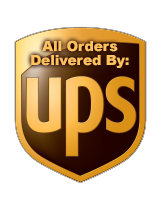 We specialize in providing empty glass boston round bottles and child resistant droppers at wholesale and bulk prices. We offer many different colors along with color coated bottles. Our goal is to serve our customers with quality containers at affordable prices while delivering a high level of customer service. We are located in Hicksville on New York's Long Island. Our website was founded in 2017. We are open Monday thru Friday from 9am to 5pm except on Holidays. We are a small company that is growing fast and we thank you for your business.